Ever wondered what you can do with a computer as small as a credit card and it only costs you $35. What you do is, you experiment! That is exactly what I have been doing with my Raspberry Pi at least and these are just the few projects that I plan to do with my raspberry pi as soon as I get my hands across one. If you have been using your laptop computer or your desktop computer in my case for the past decade, then you pretty much have an idea about the possibilities it provides you for experimenting. Here is the thing, stop thinking about the raspberry pi like the raspberry pi, think about it as a PC that lets you connect one of the most powerful devices to itself via the USB 3.0 and of course the HDMI port. If you were all excited about putting your hands on top of a raspberry pi and when you did you started thinking, that what are you going to suppose to do with this? Then, this is the perfect place to be. Do keep in mind that you can do tons of things to your raspberry pi if you apply your mind, the projects that I explain in this article are the ones I planned by applying my mind just for a maximum of 10 minutes and those few minutes for me thinking about so many different ideas and things that I could start doing to it. So, I am not going to continue making you more suspicious about my genius ideas, lets jump into it already! Project 5 – Use it as a Computer! Why not use it as a Computer? Rather, why not use it as a spare computer? If you are barely looking for a excuse to buy a raspberry pi, you can start looking for the coins in your house and get one. As soon as you get one, you plug in your keyboard and a mouse and use it as a Linux computer or you can even use it for Microsoft Windows 10. Optionally, you can add in a case to your raspberry pi to make it look more attractive, why not built a box for it instead? There is a plus point in doing this, you get to use different operating systems through your raspberry pi. This is very vital for people who are stuck with traditional Operating Systems which is a later version of Windows or if you are stuck to the Mac OS that comes on your Apple laptop or Desktop computer. 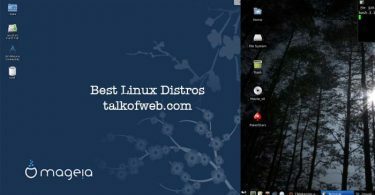 Most of us don’t even get a chance to use Linux as our primary Operating System and surprisingly most the people moving from Windows or Mac, actually enjoy being on Linux and a majority of people have started using Linux as their primary operating system. This sounds fun, doesn’t it? These are one of the primary projects that people are taking up the raspberry pi for and the idea is spreading out to several areas and countries across the world. This idea is capable of adding a little fun to public areas and you can actually make some cash out of it by placing your photo booth in the most crowded places out there. All you need is a camera, a wooden box, a small screen, a box (to make it look pretty and attractive) and of course a manual. If you already have them you are all set for your project and the sooner you get to work the better it can prove to be because the person in your neighbor hood might already be working on one and your million dollar idea might go to drain if he is the one who makes it first! The beauty of raspberry pi is that it lets you connect anything and everything to it, however you want it to be. Just get a USB internet dongle to go with your raspberry pi for helping you connect to the internet and you can take all the advantages you can out of it. You must be thinking who listens to an Internet Radio, but actually people do and even if you don’t you can just set one up for your personal satisfaction or gift it to someone you know listens to the radio. See, we can even tell you where the idea fits in, we are not just suggesting a project! The raspberry pi has an audio output which allows you to connect your speakers to it, adding a small screen and box can make it look more in tune with the latest radios that you might have to pay a fortune for. Just get a raspberry pi and set up your own jukebox! Project 2 – Make your own ROBOT! If you have been underestimation the power of the Raspberry pi, we wont blame you at all, because how many people would actually think that the raspberry pi is capable of doing such a thing? Well, let me tell you that the raspberry pi is a power house in reality. Using your raspberry pi in robotics is just another function that it can perform for you. The raspberry pi can do some serious processing and can let you built a robot that can help you around in things that you are too lazy to do. There is a website with the name of PiBorg specifically designed for explaining the possibilities in robotics that you have with your raspberry pi. Ranging from a small toy sized robot to a huge tank robot and it also allows you to see different ways of powering up your raspberry pi, so you don’t have to worry much about it. Now this is one of the most interesting and one of our most favorite feature of the raspberry pi. You can make your own Retro gaming Console using the Raspberry pi and you don’t even need to chip in a graphic card for that since the raspberry pi has the ability to power up graphics. You can set up your own Raspberry pi Game Boy, by adding a box that you can easily find on the internet. Adding controllers and a high definition screen is also possible through the USB ports and the HDMI port that lets you make the most out of your raspberry pi for your projects that related to good graphics. If you are still not aware of the fact that you can now get the raspberry pi 2 which is more powerful than the later, raspberry pi, the latest version has a better ability of providing you with the ultimate graphics. Call out the Gamers and let them know that they can have a lot more from the raspberry pi as well! We hope you have already made up your mind for one of the projects and already planning on what to do with the one you have at your place on your desk right now. If you have better ideas, do let us know about it.